March is combine month in the Canadian Football League, meaning it’s that chunk of the calendar when team staff crank up efforts criss-crossing North America eyeballing homegrown talent. 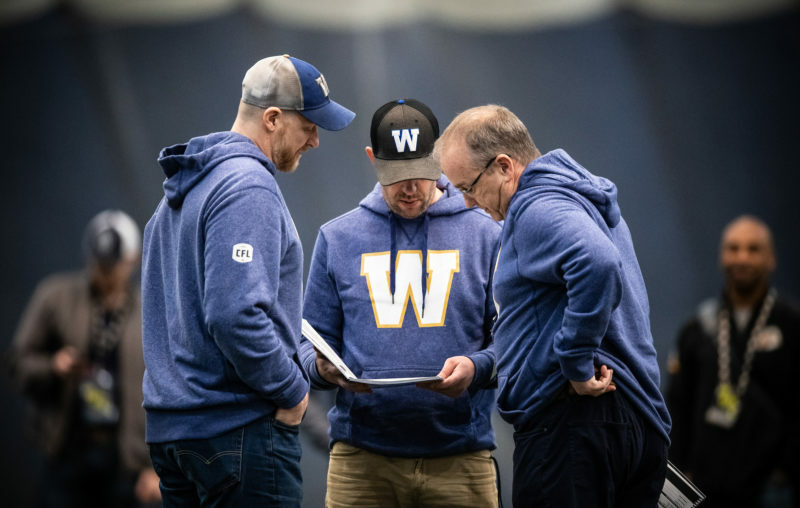 It’s no different, of course, for the Winnipeg Blue Bombers as GM Kyle Walters, Head Coach Mike O’Shea, Assistant GMs Ted Goveia and Danny McManus and Director of College Scouting Ryan Rigmaiden look to cull the Canadian herd in advance of the Canadian Draft on May 2nd. 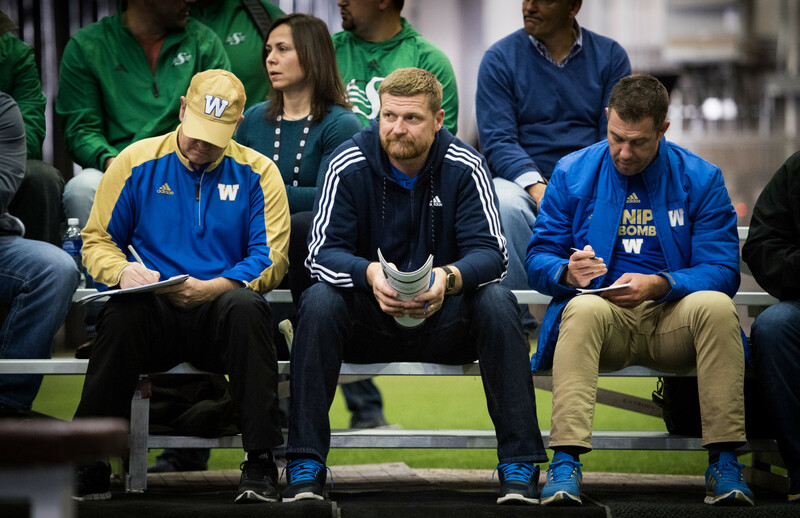 Walters is the front man on the Bombers draft prep, as he studies film and assigns grades to roughly 100 prospects on the club’s radar. Later this week he’ll meet with O’Shea and Goveia to compare grades before he and Goveia head to the CFL’s Western Regional Combine in Edmonton on March 11th, the Eastern Regional Combine in Montreal on March 13th, and then the Ontario Combine on March 21st, followed by the National Combine in Toronto on March 22-24th. 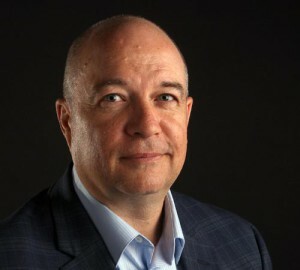 Bluebombers.com: Maybe we could begin with your take on the talent available in 2019. In general terms, what’s your assessment? Walters: It’s good. And I think the top-end talent is really good. The D-line is solid, there are good O-linemen and the receiver class is really good. The tailbacks are also a better draft class than normal and there are some fullback/tight end types that are really strong. In fact, the Top 20 of this draft is as good as I recall in recent memory. Bluebombers.com: In that case, you must be thrilled with your decision last year to move down in the draft in order to secure that second first-round selection from B.C.? 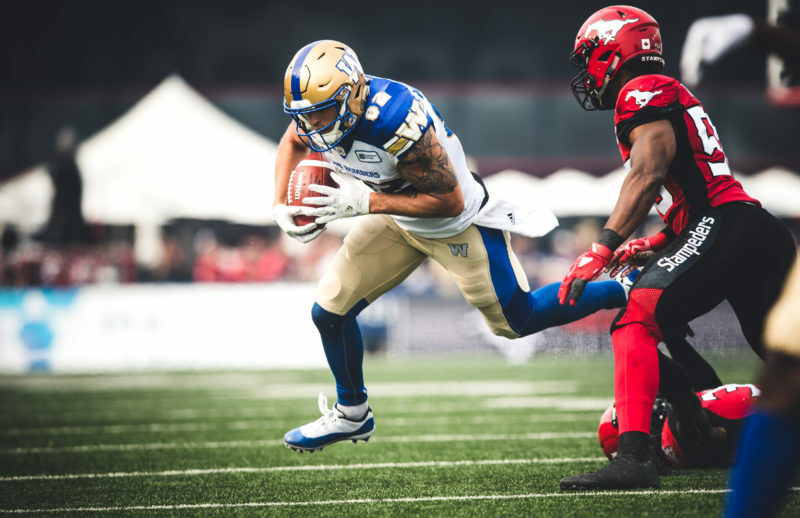 (The Bombers traded the 7th and 16th overall picks last year to the Lions for the 12th overall selection in 2018 and B.C.’s first-rounder this year). Walters: It was more about this: at that time we weren’t prepared to use that (seventh-overall) pick on one of the receivers we wanted. We figured we could drop down and still see what we could get. That one worked out. Sometimes these things do, sometimes they don’t. We were happy to drop down and get a receiver (Rashaun Simonise; 12th overall) and then still be able to get Daniel (Petermann) later (26th overall). And with Montreal using a pick in the supplemental draft last year (selecting OL Tyler Johnstone and thus forfeiting their second overall selection this spring) we are now picking at four and five this year. Those are good spots. Bluebombers.com: Are you leaning towards any particular position with those two high draft picks? You have mentioned previously you may be looking at the defensive line position early. Walters: I still think when I look at our roster that we’re in the position to draft the best players. I don’t believe we’re in a spot where we have to look at it and say, ‘We have to draft this position to come in and play.’ There’s enough flexibility for us to look at the best players available at four and five. 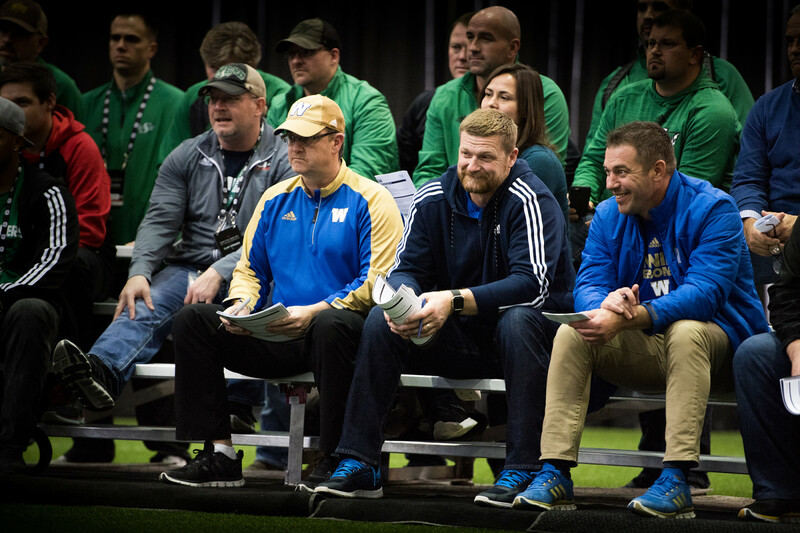 Bluebombers.com: How does the retirement of Matthias Goossen and the departure of Taylor Loffler and Sukh Chungh in free agency affect the club’s approach to the draft? Walters: Well, with Taylor leaving, we knew Derek Jones was the heir apparent there. He’ll be given every opportunity to come in and take that. Jeff Hecht was a valuable veteran guy that is projected to back Derek up… he started some games last year and the coaches trust him. And Abu Conteh has come along and earned his spot on special teams. As for the offensive line, we knew early enough that Matthias was leaving. We have confidence that Michael Couture and Cody Speller, two players who have paid their dues, are ready to compete and take over. Then we have Geoff Gray and a draft pick, if we want to go four or five with an offensive lineman we should get a good one. We also have Matthew Ouellet de Carlo and Ben Koczwara and Ben was really good last year after going back to university. Our MO is to find some later-round offensive linemen and then send them back (to college). They have a shot. Both had solid years and we’ll see at training camp. But with our ratio, we’re fine if we play an American there with Manase Foketi and Jermarcus Hardrick, both can play tackle and guard. Bluebombers.com: Still, that’s three Canadian starters out the door. There must be some frustration, especially as those three were all drafted and developed by the organization? We’re going to draft guys and get good football players. And if we draft a D-lineman we’re going to expect for them to come in and push Maxx Forde and Jake Thomas. If we draft a DB it’s to push Jeff Hecht. If we draft a receiver it’s going to be to add depth in case we do have to flip the ratio. If we draft an O-lineman it’s to push Geoff Gray; running back it’s to add some depth behind Andrew. It’s a nice spot to be in, to be able to look at this draft class with these picks and say, ‘Who’s the best player?’ and then let them come and start learning. Bluebombers.com: Your Canadian receiver depth chart is solid with Simonise and Petermann, who you mentioned earlier, and last year’s starters Drew Wolitarsky and Nic Demski. 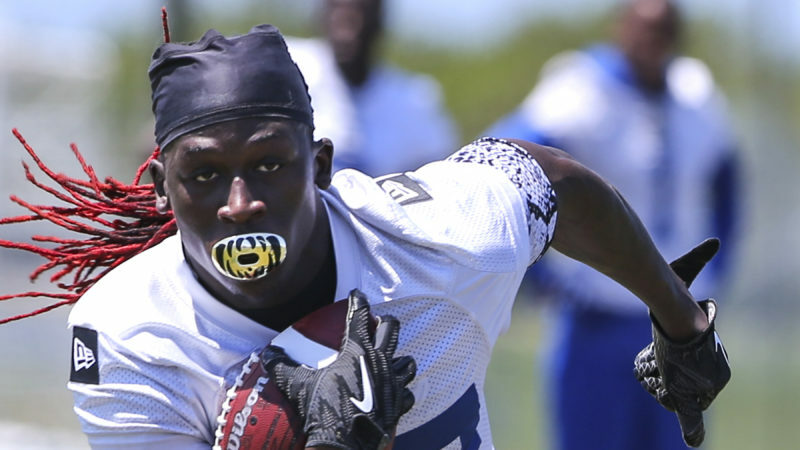 If the draft class is solid at receiver, is there a chance you may use a high pick on another prospect and possibly start three Canadian receivers? Walters: We believe the four of them (Wolitarsky, Demski, Petermann and Simonise) are as good as there are. We’d like to see Petermann and Simonise take that next step in their second year and push. But talent-wise, if we had to go with three Canadian receivers I don’t think that would be the end of the world. And as I said, if one of the best available players to us in the draft is a receiver, there are some good, good ones available. Bluebombers.com: What’s your assessment of North Dakota running back Brady Oliveira, the top-ranked Winnipegger (10th) in the CFL’s Scouting Bureau’s Winter Rankings? Walters: He’s good. He’s not going to be at the national combine, as he’ll be at UND’s Pro Day instead. That’s what makes things a little difficult at this time of year… we’ve got nine names on our list who are higher-end prospects who aren’t going to be at the draft combines for various reasons – a couple due to injuries and then because of the pro days. And so we’re in the process of figuring out who on our staff is going to go to which pro day, because there is some overlap with the combines, and then we may also decide to bring in some guys for our own look. We’d love to see Malik Irons (RB, Ohio) and Brady vs. Jamel Lyles (Manitoba) going side by each to compare. Now we don’t get that. It’s here’s Jamel’s information and here’s the other two and it’s not necessarily comparable. That’s the challenge. 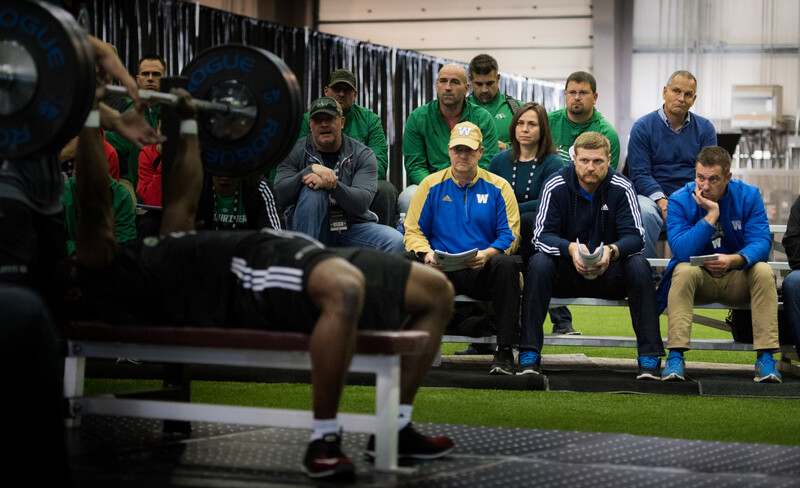 Bluebombers.com: How do you weigh combine performance vs. what you have seen on game film? Can a positive or negative combine showing really change your draft rankings? Walters: Ideally, the players you like on film that you have ranked high, when you see them in person their character, height, weight, speed leads you to say, ‘Hey, we got one here. We love the way he plays, his character seems fine and his height, weight, speed lines up with what we think he needs to be successful.’ Those are the ideals. The debates come in where his play is exceptional, but his character comes into question or his height, weight, speed leaves you scratching your head and saying, ‘I’m not sure he can make it.’ So things can certainly change after the combines. Bluebombers.com: What’s the process after all the combines are done? How do you come up with your final rankings? Walters: We’ve had some good debates. Each player can be ranked differently by the three of us (Walters, Goveia and O’Shea) and that’s why it’s a good exercise. We have the pre-combine grade on players, but then the combine process can actually make things more cloudy in certain situations. That’s why in April we go back and re-evaluate with all the information we have, we get the coaches input, the pre-combine grade, plus a post-combine grade. The pre is just film and what we’ve seen in person throughout the fall. The post combines are with the combine information, the coaches input and then that will be their final draft grade. You take a deep breath, get all the information and get the coaches involved and then you’re looking at the second-third week of April as to when you start putting your Top 50 list together.